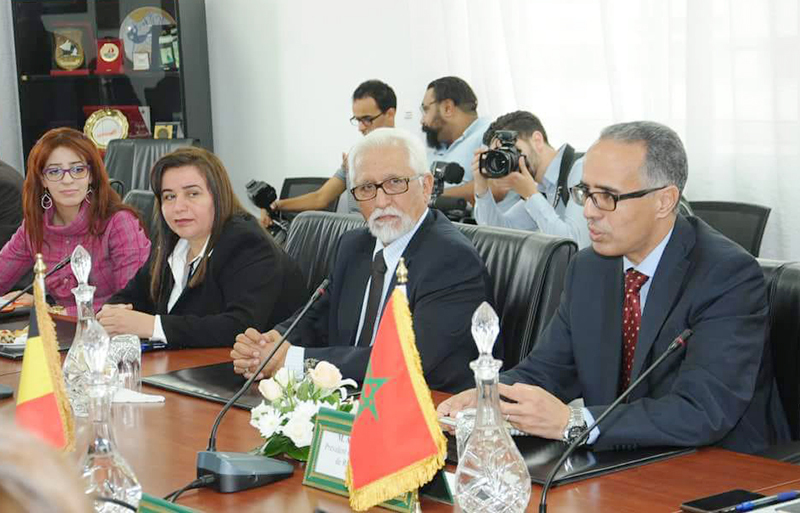 The Region of Rabat-Salé-Kenitra (RSK) will establish a regional Observatory of territorial dynamics with the support and funding of the Brussels-Capital Region (BCR). 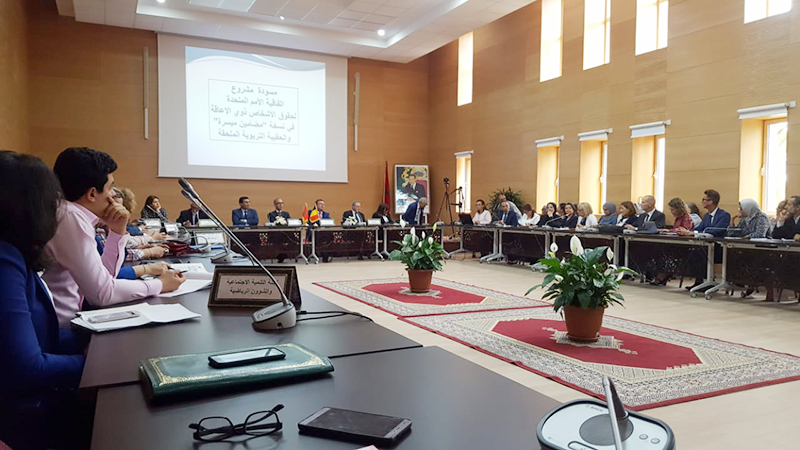 Presentation at the Regional Council headquarters of the easy to read and understand kit adapted to the Arabic culture and language, in presence of the Moroccan associations working for the inclusion of the disabled people. Abdessamad Sekkal and Abdelkebir Berkia, respectively President and Vice-President of Rabat-Salé-Kénitra Region, receiving the Brussels delegation. Work meeting on the themes of tourism and event organization. Signing of a special Arrangement for the establishment of a regional Observatory of territorial dynamics with the support and the funding of the Brussels-Capital Region. 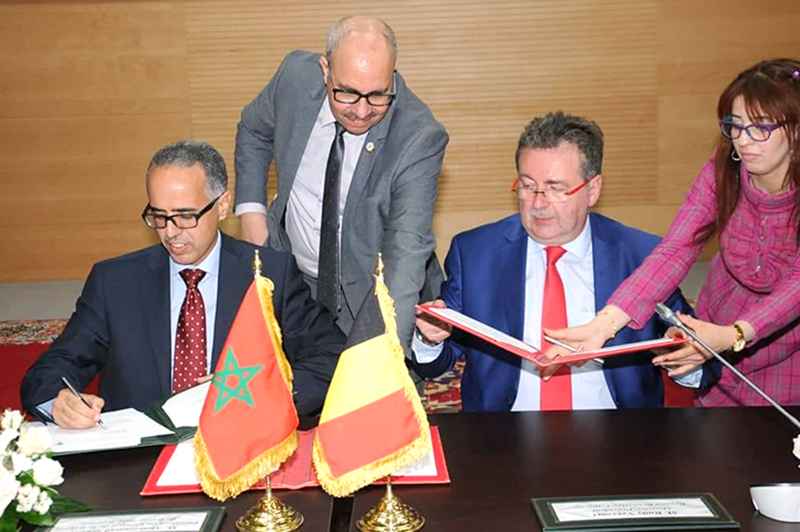 Minister-President Rudi Vervoort travelled to Rabat from 24 until 26 June, where he signed a special arrangement to this effect, with his counterpart Abdessamad Sekkal, the President of the Region of Rabat Salé Kenitra. 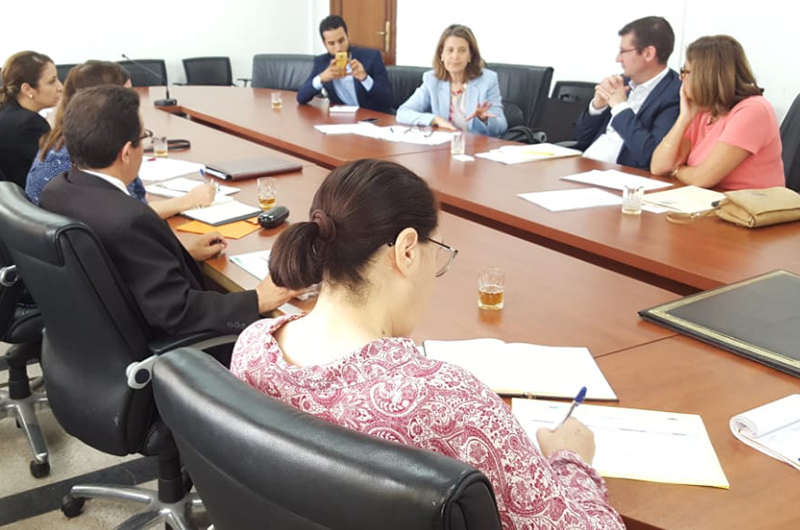 “The Brussels-Capital Region has over twenty years of experience in terms of territorial observation and we are proud to share this experience with the Region of Rabat-Salé-Kenitra”, said the Brussels Minister-President. “This is a key project in terms of territorial planning, as it will allow us to gather the information we need to have a better understanding of our territory and its evolution in terms of resources and needs”, President Sekkal explained. Bianca Debaets, the Brussels State Secretary in charge of Development Cooperation, will co-sign the protocol. More specifically, observing territorial dynamics requires monitoring the region’s evolutions on various levels, including populations and their movements, economic investments, the available equipment and so on. Such a project must also rely on a geographical information system. That is why the observatory will be established in various phases, during which the Moroccan capital region can rely on the support and the expertise of Perspective.brussels and the IT centre of the Brussels Region. From autumn onwards, experts of these two Brussels bodies will organise a first training for the RSK project team, with the assistance of Brussels International. The Brussels working visit to Rabat was also a good opportunity to strengthen the cooperation for ongoing projects. This includes a project on the inclusion of the disabled in society. Since 2013, the Belgians and the Moroccans have been discussing various themes, focussing on the rights and the well-being of disabled persons in every aspect of their lives including their right to work, to recreation and to an emotional life. The “Brussels game box” was adapted to Arab language and culture with various Rabat-based associations and is a perfect example of this cooperation. It helps disabled people find out more about the rights they have under the United Nations Convention. This kit, which is easy to read and understand, was introduced by young adults with intellectual disabilities. The event was one of the highlights of the programme. The funding by the Brussels “Climate” fund of a parcel of land where an ecocentre/waste recycling centre will be built was also discussed. This project has a triple objective, i.e., environmental, economic and social and is the outcome of the exchanges between the BCR and the RSK on the organisation of the informal waste industry since 2010. But this visit was not solely aimed at a positive assessment of the cooperation. It also hoped to strengthen relations by promoting intercultural exchanges between the young people of both regions, who can play a key role in the future of our multicultural societies. The mission also laid the groundwork for new projects. In addition to the Observatory, which was mentioned above, the representatives also discussed such themes as tourism and the organisation of events, in view of future “win-win” exchanges in these areas of development and promotion of our cities.